The Beltway sniper attacks start. D.C. sniper attacks of 2002, shooting spree in the Washington, D.C., area that killed 10 people and injured 3 over a three-week period in October 2002. 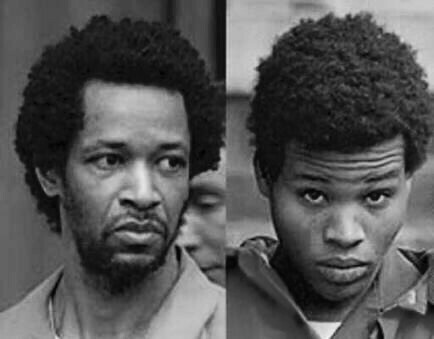 The shooters, John Muhammad and Lee Boyd Malvo, chose targets seemingly at random and brought daily life in the area to a virtual standstill. The attacks began on October 2, 2002, when a bullet shattered the window of a craft store in Aspen Hill, Maryland, narrowly missing a cashier. Less than an hour after that incident, a 55-year-old man was shot and killed while walking across a parking lot in Wheaton, Maryland. Although the shootings were not initially recognized as being connected, law-enforcement authorities soon realized that those two acts of violence were just the first of what would be more than a dozen linked shootings over the next 23 days. By the end of the day on October 3, five more victims had been shot and killed in the Washington metropolitan area. Investigators determined that bullets from several of the first seven shootings were fired from the same weapon—a high-powered .223-calibre rifle. On the morning of October 7, a 13-year-old boy was shot and injured in front of his middle school in Bowie, Maryland. Muhammad and Malvo left a tarot card with a note to law enforcement written on it, but it contained no specific demands. More than 30 different law-enforcement agencies at the local, state, and federal levels would ultimately work together to track, identify, and capture the parties responsible for the attacks. Other than conflicting reports of a white van, a white box truck, and a dark Chevrolet Caprice near the scenes of the incidents, police had no clear leads. Criminal profilers predicted that the sniper was most likely a white male, but that assumption was based largely on the characteristics of past serial killers and not the sniper case itself. From October 9 to October 14, two men and a woman were killed in separate incidents in northern Virginia. On October 19 a 13th shooting occurred at a restaurant in Ashland, Virginia. Law-enforcement officials found a second note at the crime scene, demanding money and instructing the police to call at a certain time and place. The phone number provided in the note was not valid, but technicians at the U.S. Secret Service crime lab were able to match the handwriting to the tarot card left at the scene of an earlier shooting. The Beltway sniper attacks start, lasting over three weeks. Ivan the Terrible conquers of Kazan. 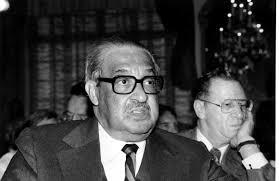 Thurgood Marshall gets sworn in as the first African-American justice of United States Supreme Court.